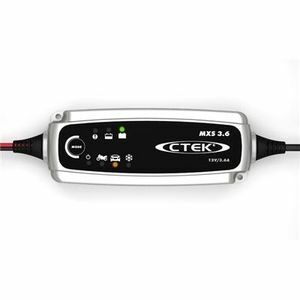 Our recommended replacement is the CTEK MXS 3.8 12V Charger and Conditioner. Great little battery charger. Does exactly what I want it to do! Thank you Tanya. Ideal for pluging into 12v socket to trickle charge. An excellent well engineered product. 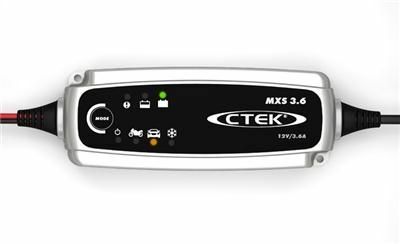 EXCELLENT PRODUCT, BOUGHT THE MXS 5.0 IN OCTOBER FOR A BIGGER CAR, BOTH WORK BEAUTIFULLY. A versatile charger in a compact format which makes it convenient and easy to charge and maintain all household vehicle batteries. Fully automatic 4 stage charging process, the MXS 3.6 measures battery status and automatically begins charging when needed.